Summer days are definitely better at the beach! 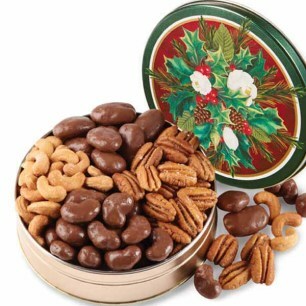 This ocean themed gift tin is packed with a delicious variety Priester's pecan treats! 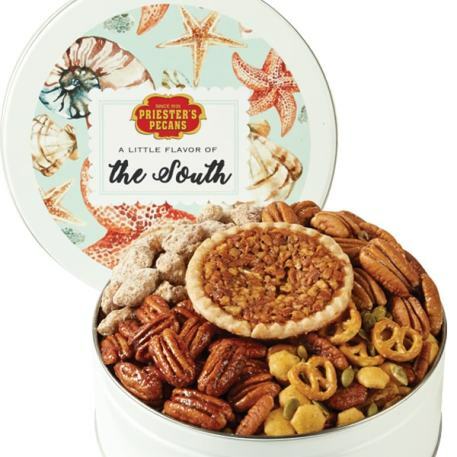 This perfect summertime gift tin is filled with Honey Glazed Pecans, two Old Fashioned Mini Pecan Pies, Roasted & Salted Mammoth Pecans, Praline Sugar Pecans, and our new sweet & zesty Yee Haw Snack Mix. 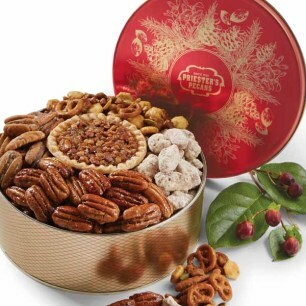 "Great surprise for my Dad"
Daddy just loves your pecans and since he is alone, I like to send them to him as a little surprise now and then just to say hello and let him know that a I am thinking of him and love him. 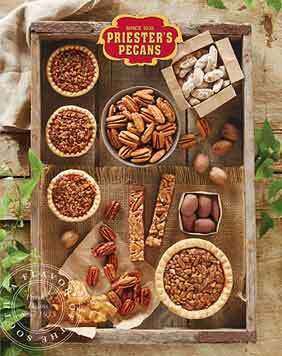 I always know you will deliver fresh delicious pecans. Thanks for a quality product. I bought this as a gift and they really liked this.